This is a hi-energy spectacular free-style dance which ranges from basic top rock steps to power moves .... back spins, head spins etc. This has become an extremely popular class, particularly with boys. (Although we do have quite a few girls in the class) It's billed for Primary 3 & upwards (although we occasionally take kids younger than the P4 age group if they are really keen) so there's quite a range of ages in the class. However it is a style which requires self-discipline because it is a freestyle dance and the teacher will advise you if he thinks your child is not quite ready. The kids are all given a good warm up and then divided into groups or worked with individually. They are given various sequences to work on and the teachers work round each group giving them guidance as required. This is where the self-discipline comes in - while the teachers are working with other class members the kids are expected to carry on practicing. They will be given basic steps to start with and when they're ready they are shown more complex power moves. It helps if they like gymnastics! Everyone in the class is at different levels - some doing basic steps, some doing back spins etc - which means our teachers have to be strict with the kids - safety is tantamount. How fast the pupil progresses depends on how much practice and energy they put into it. It's a tough style which looks easier than it really is. The classes are taught by Chris Maule of The Flying Jalapenos. 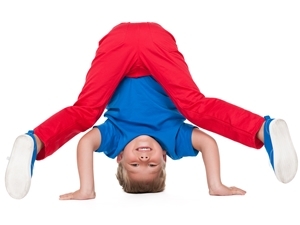 Sorry, but we have no upcoming events for Dance With Attitude Kids Breakdance Class. If you know of an event taking place at Dance With Attitude Kids Breakdance Class or anywhere else in Glasgow tell us about it and we'll list it on the website, for free! Alba Scottish Country Dancers offer Scottish Country Dance and Ceilidh dancing classes for children in Glasgow's West End! Girlguiding Glasgow is part of Scotland’s leading charity for girls and young women, with groups meeting all over the city! At Glasgow Sea Cadets we aim to give young people an experience that will help them grow into the person they want to be in a safe and friendly environment. Ultimate Frisbee is a fast-paced, athletic team sport for ages 7+ enjoyed by hundreds of thousands of players the world over, Glasgow Ultimate is the local club for all Ultimate Frisbee activities!